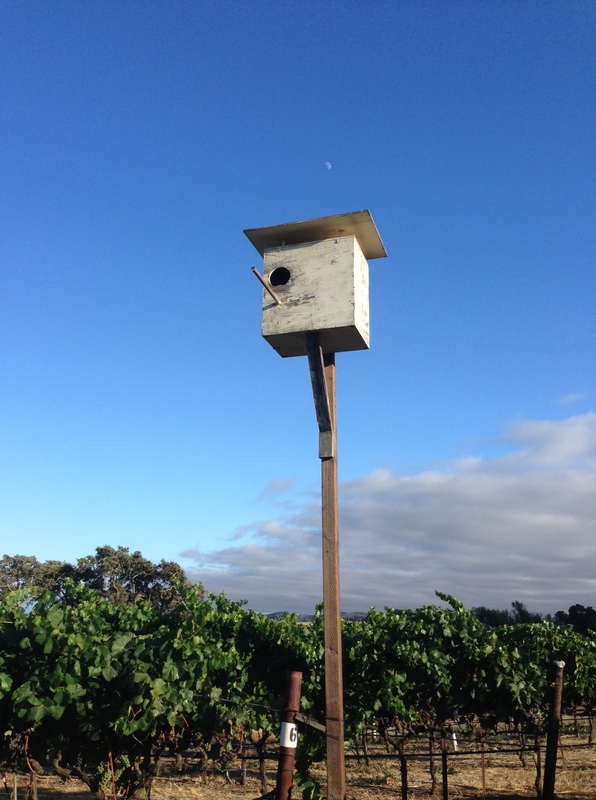 In our second vineyard tour today, we head to the incredibly gorgeous Durell in Sonoma. 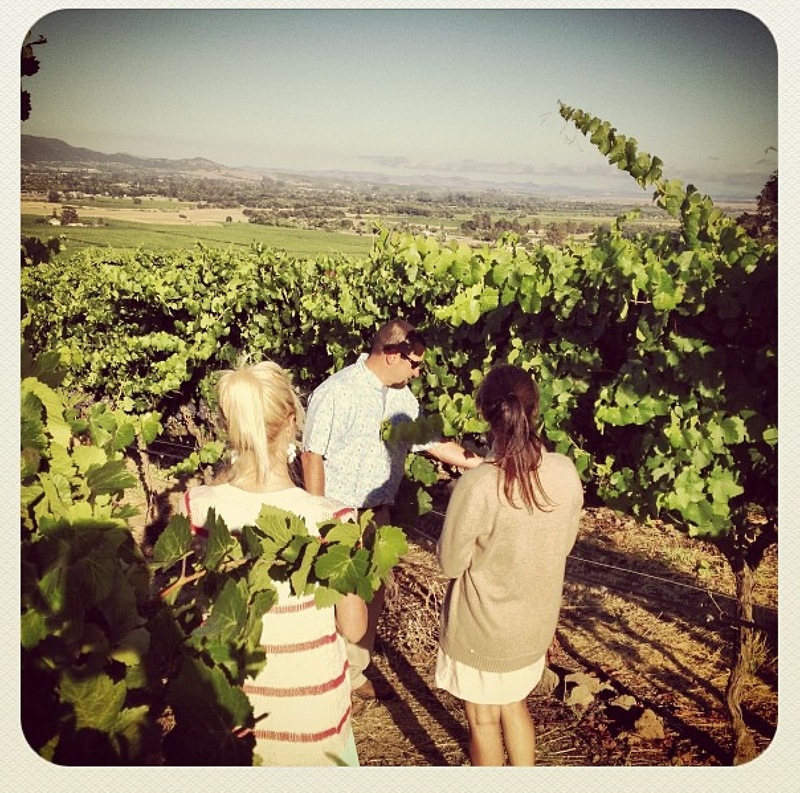 We got a walk through from Rob, who manages the vineyard for many different wineries who source their grapes from it. The winemakers all have different views on how to prune their lots and when to pick the grapes, which sounds like it would drive me crazy. But we all have parts of our jobs that are less easy than hanging out in gorgeous vineyards all day. Three Sticks makes excellent Pinot Noir from this vineyard that’s restrained, earthy, and cherry and not in a cherry bomb kind of way at all. We tried both the 2010 and the even earthier 2005. We also got to sample all their new 2012 wines right out of the barrel. 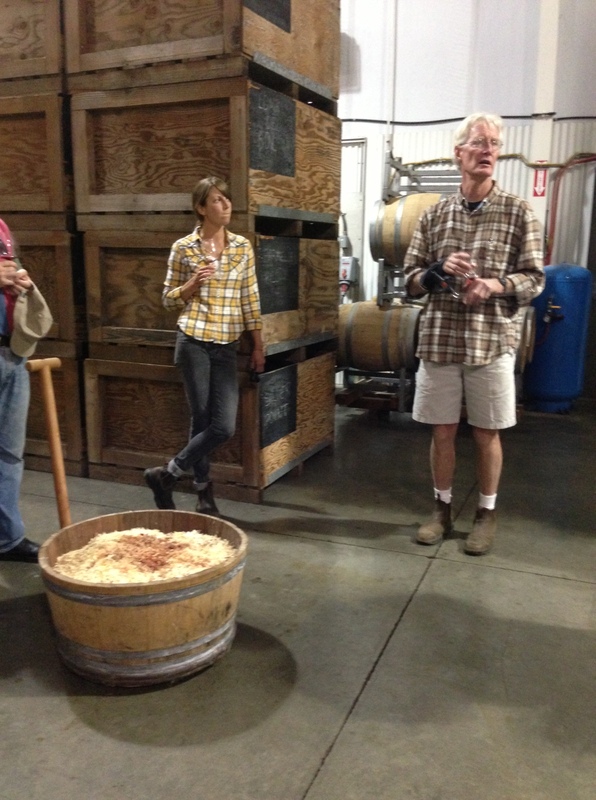 Lots of wineries have drains all over the place so you can spit right into them when you’re tasting the wine, but Three Sticks is in a warehouse-type facility and uses a big bucket with wood shavings that you spit into. Pretty hilarious. 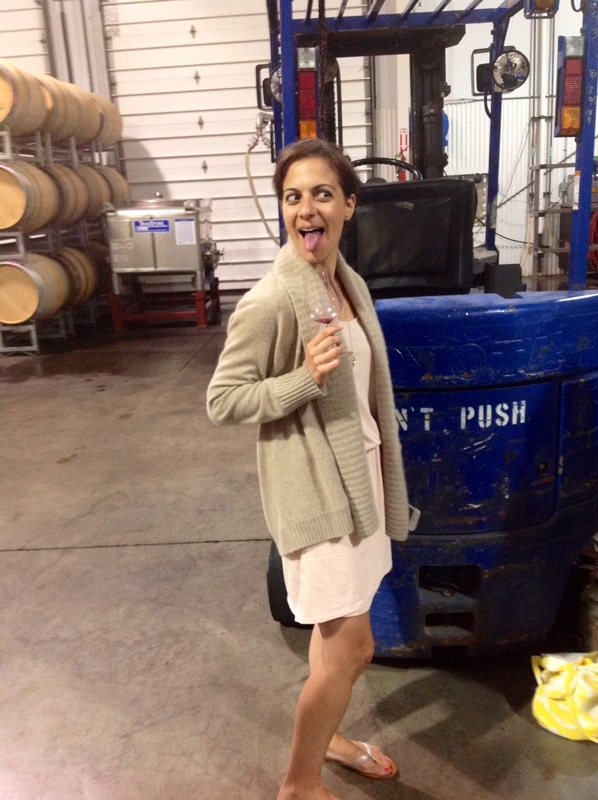 Btw, you know you’re sampling Petite Sirah when your tongue turns purple. Crazy deep color on that stuff. 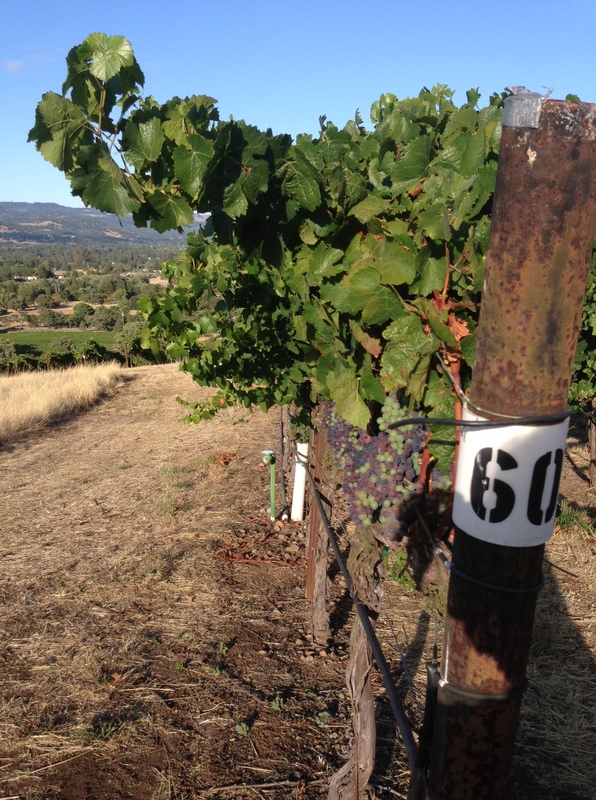 Tags: petite sirah, pinot noir, sonoma, vineyard, wine. Bookmark the permalink. I don’t know if I’ve told you this before but I sort of hate you. Not in a mean, spiteful kind of way but in a why can’t I visit wineries and drink wine all the time kind of way?? but PS I have a day job too that is nowhere near as fun, so don’t be too jealous! 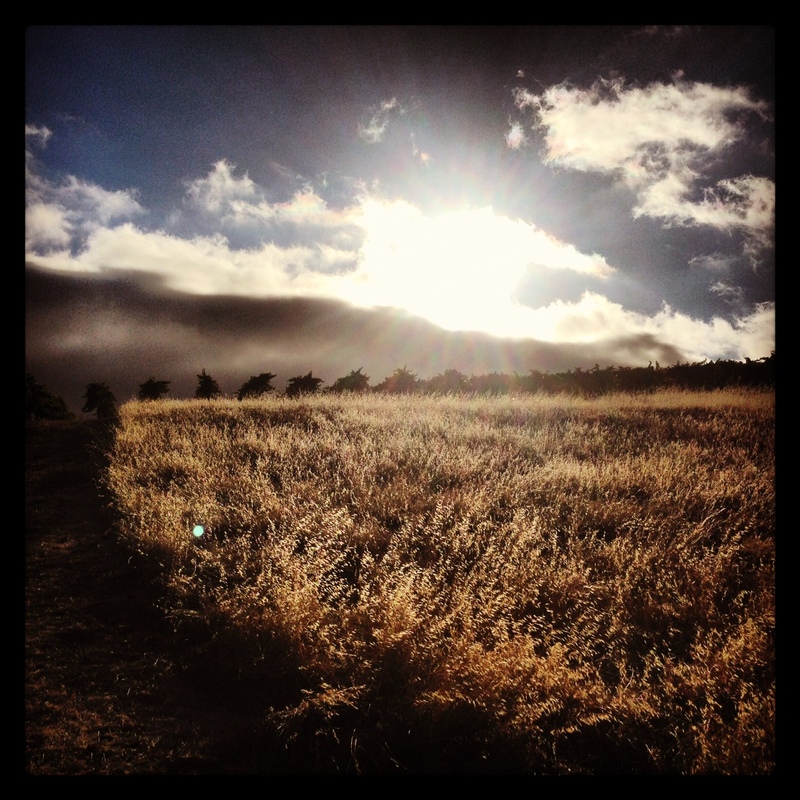 Very beautiful sunset, and great picture! 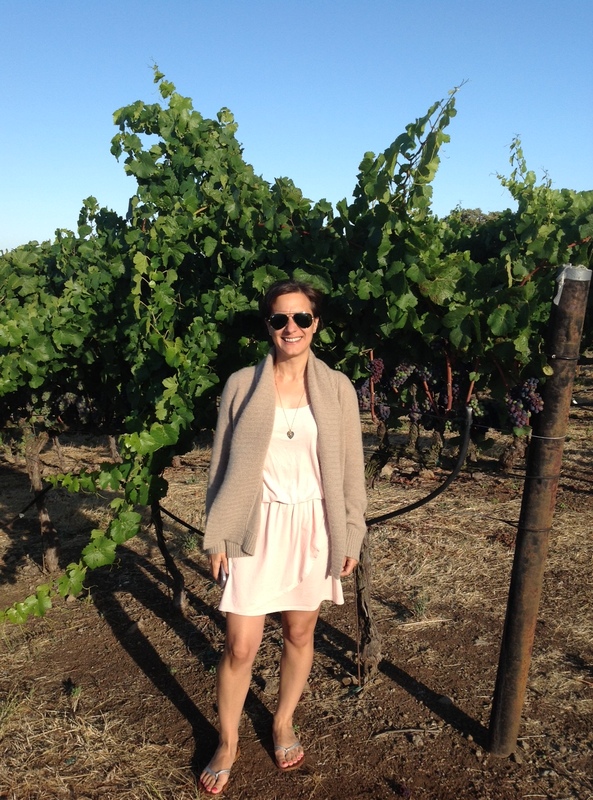 So cool, visiting vineyards in Napa and Sonoma are on my bucket list.